2017 showed us our first family holiday and plenty of other weekend breaks. Now, with 2018 in full swing it's got me thinking about where I'd like to go this year. This year we would really love to go to Center Parcs. I've never been before, however Paul has and he says that it's amazing. I love the idea of going on a holiday and always having something to do as well as trying to relax. For Darcys birthday I'd really like to take her to Cbeebies Land at Alton Towers. I know she'd love this and I feel like she's at the right age now to be able to go on a lot more rides, obviously not the massive ones but ya know what I mean her age ones. 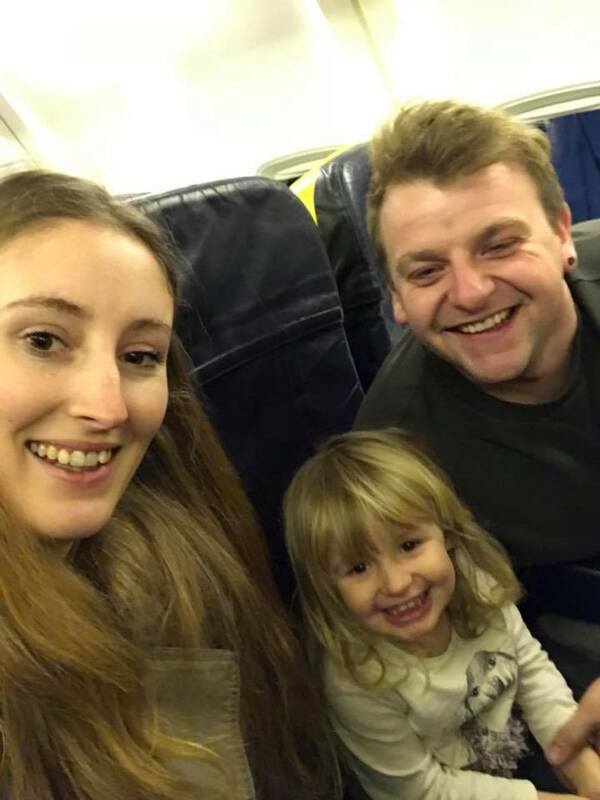 We'd really like to go on another family holiday, Darcy really enjoyed the whole experience of it and it was a lot more relaxing than I thought it would be. Around September/October time would be lovely. I'm not really too fussy about where we go, Tenerife is always a safe bet because we know that we love it, but i'd quite like to go to Greece especially. Paul turns 30 this year so we'd really like to do something special, this probably won't include Darcy because you know, child free time and all that. Amsterdam is a place we both love so it would be fun to go on our own. I really enjoy not planning things and then just running away as a family to places we've never been before. I'd really like to see more of Cornwall this year so I'm really looking forward to seeing where we go.